In this Aug. 5, 2016 file photo, a Boeing 767 with an Amazon.com "Prime Air" livery flies over Lake Washington as part of the Boeing Seafair Air Show. 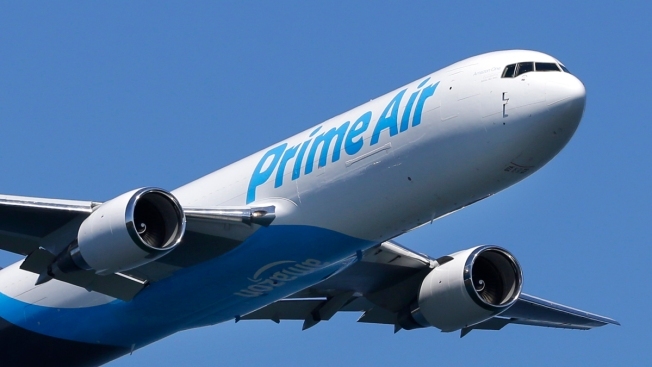 For this year's Prime Day, Amazon is taking to the skies. A fleet of cargo jets will be used in the company's annual day of online deals for the first time in the U.S., it said in a press release Monday. As anticipation builds for Prime Day shopping deals, background operations look to make sure every order on the company's busiest day of the year arrives on time. By the end of last year, Amazon had leased about 40 planes from cargo partner Atlas Air and had been flying them between at least 10 airports, Fortune reported. While the company's plans to deliver packages by drone have drawn plenty of attention — and scrutiny — these Amazon planes are the first functional piece of Prime Air operations.